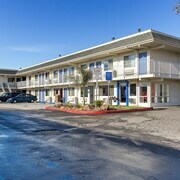 Situated in Oakland, this hotel is within 3 mi (5 km) of Oakland-Alameda County Coliseum, Oracle Arena, and Oakland Zoo. San Francisco Bay and Oakland Museum of California are also within 6 mi (10 km). 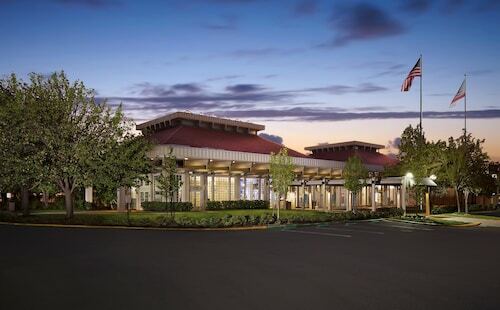 Coliseum-Oakland Airport Station is 25 minutes by foot and Coliseum Station is 24 minutes. 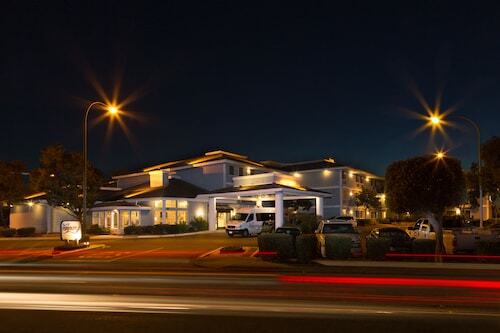 Overlooking a yacht-filled harbor, Double Tree by Hilton Berkeley Marina is a 10-minute drive from UC Berkeley. Both Oakland International Airport and downtown San Francisco can be reached in 25 minutes by car. North Berkeley BART station is 7 minutes by cab or free shuttle from the hotel. Overlooking the San Francisco Bay, Claremont Club & Spa in Berkeley sets new heights in service, amenities, and accommodations. 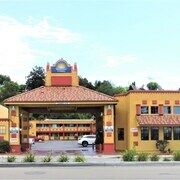 For the past 100 years, Claremont has been recognized as an icon in the Bay Area. 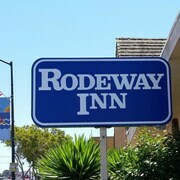 Conveniently located in the heart of Berkeley, the hotel is only a 20-minute drive from downtown San Francisco. Private parking is available. Its 276 beautifully appointed rooms offer a mix of old world charm and California comfort, many boasting breathtaking views of San Francisco. 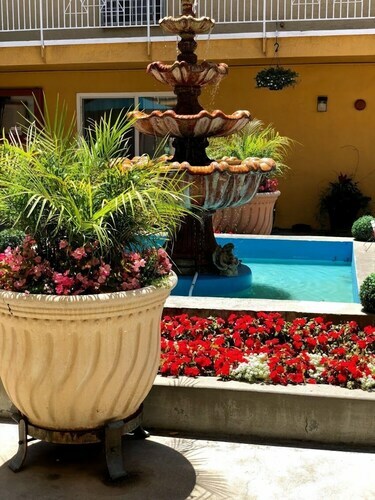 Situated in Castro Valley, this hotel is within 3 mi (5 km) of Hayward Japanese Gardens, Golden Tee Golfland, and Alex Giualini Plaza Park. Hayward City Hall is 2.9 mi (4.6 km) away. 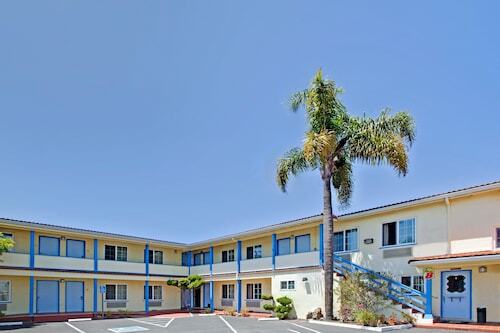 Situated near the beach, this aparthotel is 0.8 mi (1.2 km) from San Francisco Bay and within 6 mi (10 km) of Jack London Square and Oakland-Alameda County Coliseum. Oracle Arena and Oakland Convention Center are also within 6 mi (10 km). How Much is a Hotel Room in Oakland? Hotels in Oakland start at $79 per night. Prices and availability subject to change. Additional terms may apply. Set on the San Francisco Bay, Oakland is the eighth largest city in California and has plenty to offer visitors. The city has a thriving arts scene and was named as one of the country's top art communities in 2013. There are many places to stay in the city, and Oakland hotels come in many shapes and sizes. 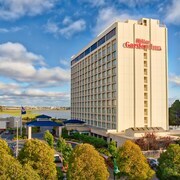 The city is perfect for a break on the coast with your family, but it is just as accommodating for business travelers, with plenty of hotel meeting rooms and conference centers available. There is also some great shopping to discover, with plenty of independent stores offering one-offs and special designer pieces. Hotels near Jack London Square, named after the author and journalist, are in the heart of Oakland's vibrant center. 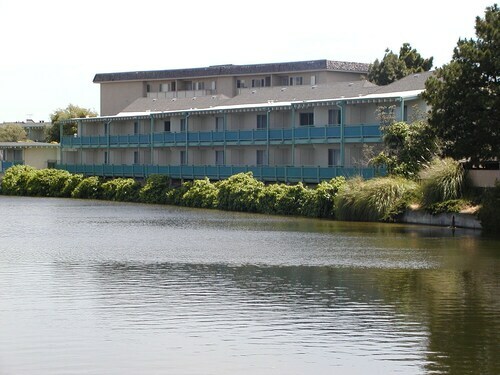 In this neighborhood, you will find plenty of restaurants facing the waterfront and rooms with ocean views. 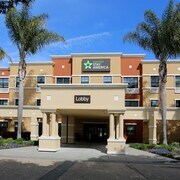 When looking for a deal, try booking a hotel located in the charming Old Oakland or Oakland Hills. 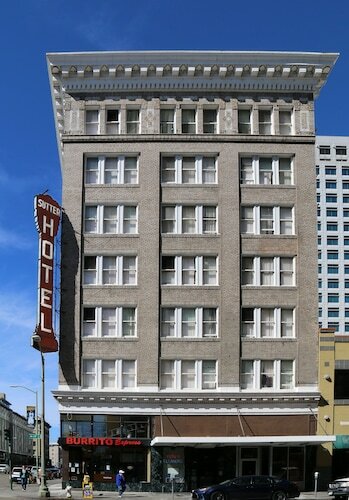 For a hotel closer to Oakland's nightlife, search in the downtown or Chinatown districts of the city. Thanks to its location on San Francisco Bay, Oakland has plenty of water-based activities that you can take part in such as canoeing or sailing. For something a little more relaxed, search for hotels near Chouinard Vineyards, just south of the city. Here you'll find many events and winery tours that can be easily arranged. Oakland also has great music scene worth checking out. The Fox Theater is a must-see venue and dates back to 1928. When looking for cheap hotels in Oakland, simply enter your preferred dates and have a look at the competitive pricing available through Travelocity. We have the know-how to help you get the best price possible for hotels in all the best parts of the city. 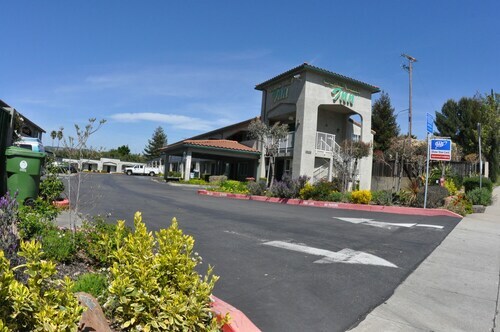 Overall, I’ve stayed at this Hotel in the past and will stay again soon as it is close to airport and freeway, and is kept up w lobby clean, grass and surroundings kept up and room cleaning is to Hilton overall standards. Check in and check out is great! Proximity to airport was excellent. Shuttle was on time. Staff courteous. Was kind of noisy due to being close to busy street, but did not have any trouble sleeping. So many contrasts. After having to beg my way past security to enter the building I was displeased with the overall experience and only accepted check-in due to how late it was, but after getting to the room I'm glad I made the decision. 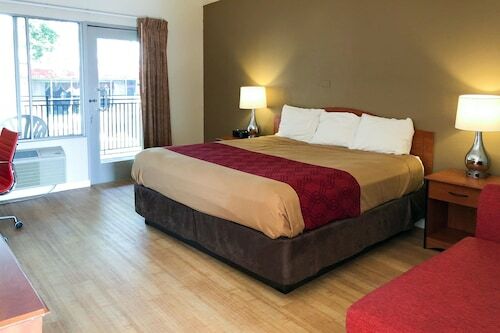 The hotel property has not had much work in making it presentable, but the good news is that the work has gone into the rooms: they're new, beautiful, and fully stocked. The parking is terrible but location is convenient. I guess looks can be deceiving. I liked the balcony. I didnt like the strictness of the check in time. Great location. 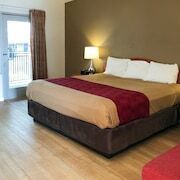 Walking distance to stores/restaurants. Great, spacious room. Bad perfume smell when entering room, which took a while to dissipate. Corner room was a little loud with street sounds at night, but also beautifully sunny during the day. 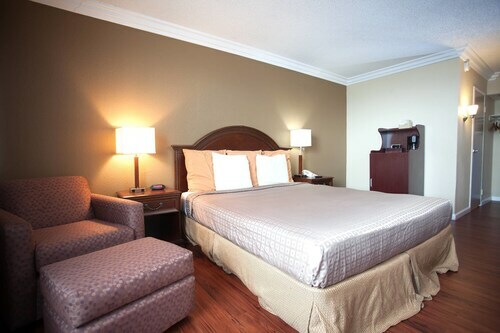 Comfortable bed, nice staff.